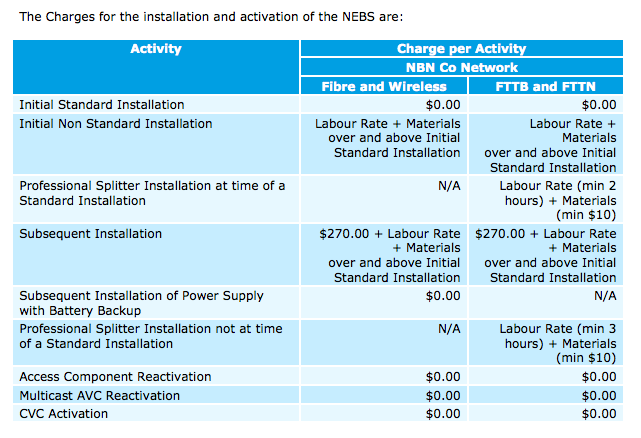 NBN waives and caps a ton of FTTN charges - jxeeno™ blog. Service provider feedback forces NBN to waive new charges to be introduced with the launch of the Fibre to the Node product. Citing concerns by some service providers, the company responsible for building the National Broadband Network has decided to temporarily waive or cap a number of new charges “minimum period of 12 months” that were originally scheduled to be introduced with Fibre to the Node installations. Amongst the charges changed is the “professional installation” charge for Fibre to the Node and Basement areas, where a technician installs a central filter at the premises to reduce copper line interference. Initially, nbn had wanted to charge service providers and in turn, end users, a variable cost depending on the number of hours the installer took to complete the installation. The filter installation during the initial order would have had a base cost of $160 and the company would charge a further $75/hour for every hour beyond two hours plus any additional material costs. Filter installations requested after the initial standard installation would have cost at least $235, plus every hour beyond three hours. 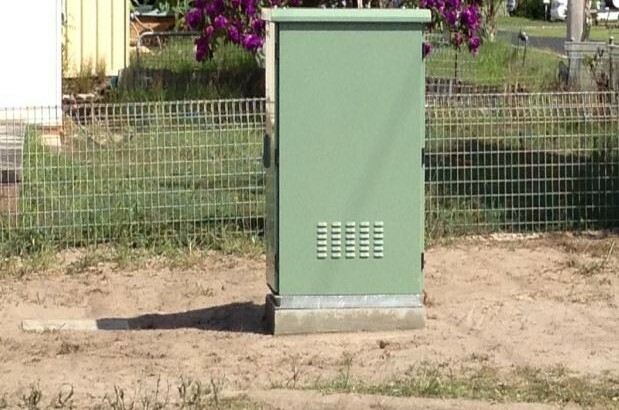 nbn says that some service providers “expressed concern that the basis on which NBN Co is going to charge for Professional Splitter Installations (i.e. on a time and material basis) would make it difficult for them to establish fixed prices for their retail offers.” The company has now introduced capped pricing at $160 and $235 respectively, and will not charge for additional hours incurred or extra materials used in the installation. In addition to the changes to the filter installation, nbn has waived its right to charge service providers a number of other ancillary charges. A number of service modification have been waived entirely such as equipment removal, modifications and repair. These were originally charged at $75/hr for a minimum of 3 hours. Service management charges for missed appointments, late cancellations, incorrect technician callouts and so-called “no fault found” callouts have also been waived for the FTTN and FTTB network. For a full list of charges waived, check the Ancillary Charges Waiver discount notice and the Professional Splitter Installation Charges waiver letter published on the nbn website. Could we have gone all fibre rather than this G.Fast talk?